Almost every dollmaker will get there. 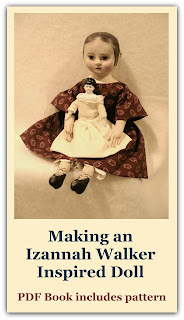 Someone will tell you about Izannah Walker and you will be struck by the beauty of her dolls. 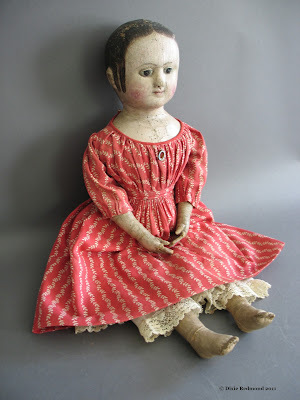 Or you will see a beautiful doll made by a modern dollmaker and find out it was inspired by Izannah Walker. The above dolls were made for a swap - aren't they gorgeous and wonderful foils for one another? I am so excited to see this blog. Thank you for doing this for all of us who simply adore the work of Izannah Walker. I have posted a link to your IWC blog on my blog. Happy New Year!